This is a considerable overhaul of the Street Stock Shootout mod. The most significant changes are outlined below. The original V6 212 hp engine, a 280 c.i. V8 with 305 hp, and a 305 c.i. V8 with 416 hp. There are two tire models to choose from: One that's basically the same tire the mod had before, and one that performs a little better around the corners. Each combination of engine and tire creates a different vehicle class, making it easy for leagues to choose their specifications and ensure everyone is running the same stuff. The damage model has been improved. There are new collision feelers all around the car, and new collision boxes -- a different box for each car model. Now you won't run into something a foot before you get there, and the car will rest on its roof when inverted. Also, they crush quite nicely. The aerodynamics have been adjusted. No longer are the cars as slick as an IndyCar. Instead, they're barges pushing a lot of air. Plus, I added ISI's new drafting/side-draft values gleaned from the Lexus. The CG has been raised -- it's no longer lower than that of a sportscar. Added bump map that gives cars a subtle "panel-beaten" look in DX9. Created new wheel textures, with your choice of white, black, chrome or aluminum. Each car has its own default, but you also can change it via Upgrades. Cars no longer sink so much into the ground. Improved appearance of window net, cockpit, steering wheel, and other things. Replaced legless driver with normal rFactor driver and helmet. This required modification to the "chev" car model to move the floorboard and firewall to better locations. Modified rFactor helmet model to remove lower aero lip and move rubber rim up to its new place. Added helmets and driver suits to all the cars now that it has a new rFactor standard driver and helmet. External steering wheel now turns. Added weight penalties for driving aids: Braking help, Opposite lock help, and Spin Recovery. Adjusted yellow-flag sensitivity. A spinning car should no longer bring out a caution unless it actually stops. This allows for someone who does a quick 360 not to bring out a yellow unnecessarily. Lowered the minimum spring value available, as well as the maximum. Changed adjustment level to 25 lbs per click (was 100). The lower values make it possible to set up the car for dirt tracks as well as paved tracks. Pit times have been adjusted. You can change only one tire now, but it will take more time to change tires, and there's a large random delay added on a per-tire basis. Tire changes are not supposed to happen in street stock races, so crews are not good at it (if a driver even has a crew!). The tire wear has been adjusted so that they wear quite slowly; they should last you even for a 100-lap feature, and maybe a 200-lap enduro! It's just the heat that's going to make them feel greasy. Rule changes have been implemented, in line with how street stocks race out here in California. Mainly: Cars race to the yellow. For leagues, I recommend operating the same way the tracks do out here: a spun car is expected to stay put until the field has passed him and taken the yellow. If the leaders pass him and he goes a lap down, race officials add that lap back to the spun driver. This prevents drivers from creating a mess by trying to get back on track ahead of the leaders who are racing to the yellow. It should be stated that this mod is meant to be reminiscent of 1980s or early 1990s Street Stocks -- not the modern souped-up wannabe late-models that pass for "Street Stocks" today. Credit for the car models goes to the U.S. Pits. 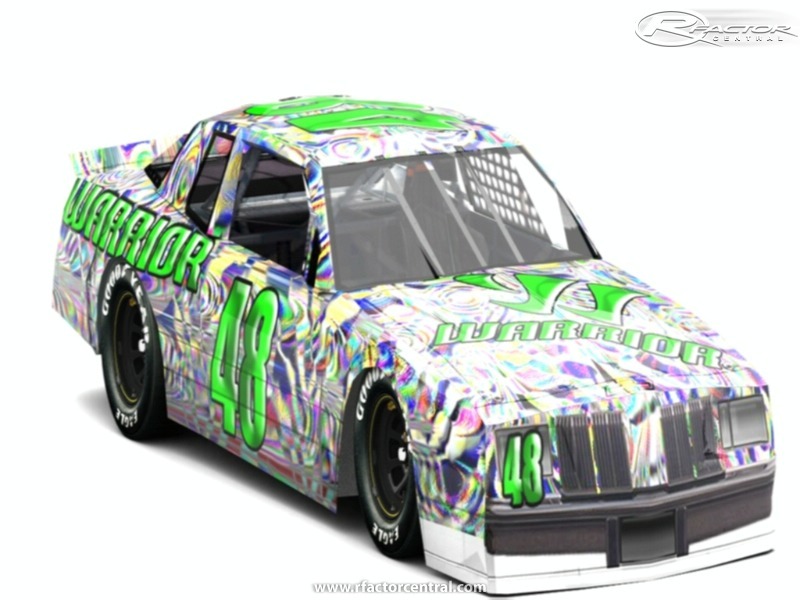 Jan Kohl and company made the original versions of these models in the late 1990s for one of the early Papyrus NASCAR games, as part of their AeroWar88 mod. Thanks to them for letting us use and tweak the models (removing roof rails, spoilers, etc.) and templates. So yes, the models are quite low-poly, but they're very functional and easy on the frame rate. Credit for the sounds goes to Stuart Cowie for the original version of his ORR Trucks mod (though they're used in different ways here). This time around, we've moved the sounds into our own folder. Credit also to ISI themselves, since much of the engine torque curves and tire data were gleaned from their rFactor road cars, e.g., the Panoz Esperante and the Lexus IS-F. This mod was originally created by Andrew and Chris Massey. Then Ron "Keeper" O'Dell came along and helped Andrew to create ver. 2, which has been enjoyed by leagues for a few years now. This version 3 overhaul is entirely the work of O'Dell. So please, go easy on the circle-88 car! Is this mod Compatible with street stock shootout 2.00 skins? I know I am late to the party. I went off the reservation since I was slightly disappointed in the short track oval mods that were out at the time, but this is the one I was waiting for. I wanted the low power stock cars, either the street stock or the screaming mini stocks, and this mod delivers. It is fun and loose, but you can be competitive right out of the box. A great package, and I hope the modder sees how much I appreciate his mod. Someone might want to remove the Megaupload link, since the site has been seized by the government. Credit for using the templates is given to the USPits who allowed us to use and modify their files. Your templates are thus considered to be from the USPits. Grandfathered credits from that mod would be in that mod's readme. There's no ill intent. Wow, you could at least give credit for the templates, even if you modified them a bit. I see several from my old site, see86go. I am not sure whose hands these were passed through, but I gave the original mod producers permission to use them only if credit was given. This mod is great! After playing f1 1979 for a while, driving cars that handle like soap and can take a real beating is really fun. Try racing them in road courses, its just too much fun. Note that the yellow-flag sensitivity for the mod is based on PLR values of 0.25. Apparently the new default is 1.0, so the multipliers I set in the mod will result in no cautions being thrown on servers running the Safety Car Threshold of 1.0. I'll have to do a V3.1 with a fix for this eventually, but in the mean time, I suggest changing the threshold value in your PLR to 0.25.
yea me and my friend Johnny were racing at Kalamazoo earlier today, very solid mod even using 100% stock sets on any track....and thats often times hard to do with other mods, so you guys did an outstanding job if you ask me. 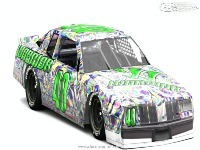 Check us out at www.randjmotorsports.greatnuke.com ....we do alot of oval racing. The NARCA server is running an old beta version (a few years old from before I'd paused work on it, actually). The league that used that server apparently severed ties with their server host a couple years ago but for some reason the server remains up, unused. The Calrace server is running the current version but is passworded. We are expecting to begin holding races within the next few weeks. Of course the password is given out to league members. I'll see if maybe we can unpassword the server for the time being since it's currently set to Joesville which everyone should have (some of our races will be on our own created tracks).